United’s BusinessFirst guests get priority cards for Customs and Immigration at Heathrow. I managed to make it from the plane, through Customs and down to Baggage Claim in about 15 minutes. Amazing! I even had time to buy a new SIM card in this 15 minute window (and every time I land at Heathrow I am always at the very end of Terminal 1, too). 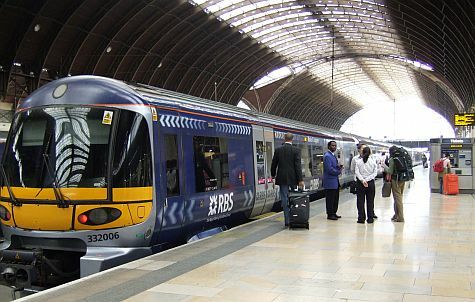 Since I only had 48 hours in London, I decided to take the Heathrow Express from the Airport to Paddington Station. This was my second trip to London where I used the HEX. It really is the way to go, if you have limited time in London. In March 2011 I used the HEX to pop into the City when I had a 10 hour lay over en route to Cape Town. By taking the HEX you can make it from Heathrow to Paddington in just about 15 minutes. You can also take the Tube to Paddington from Heathrow, but that takes about an hour. The HEX is much more expensive than the Tube. The Tube will cost you about 5,30GBP or at today’s exchange rate, about $8.60USD. The HEX on the other hand costs 18,00GBP each way, or $29.20USD. You get on the HEX from the arrivals area and baggage claim in Terminal 1 by taking the elevators down a level. You can purchase your ticket online before you even leave for London or, like my most recent trip, there were people at the base of the escalator selling tickets. Since I was there for the Olympics, I doubt these customer service folks will be there year round. Of course, it goes without saying, make sure you are actually buying tickets from authorized retailers — don’t just give your money to someone who says they will sell you a ticket to anything. Be smart. The HEX also has complimentary wifi, which is great in theory, but the ride is only 15 minutes so by the time you get your phone set up and start to sync your device(s) you’ve already arrived. Every time I’ve taken the HEX I’ve never had to wait more than 10 minutes and I’ve always gotten a seat. Obviously these trains are designed for air travelers, so there are many racks to store your luggage too. From Paddington you can easily get anywhere on the London Transport system. Easy Breezy. If you have a limited time in London, I would definitely take the HEX. It is quite a bit more expensive, but it will allow you to experience more time in London and less on the Tube. When visiting London do you take the Tube, the HEX or take a Black Cab? Is the extra 10GBP worth it to you to shave 45 minutes off your transit into the City? By Tim in Travel on September 19, 2012 .